This highly relevant study provides an incisive analysis of a critical phase in recent East Asian financial history, exploring the underlying causes of the financial crisis that struck Indonesia during the second half of 1997. 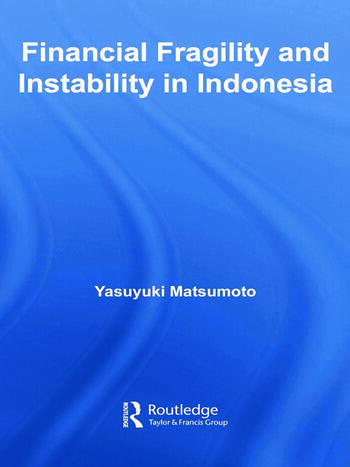 Matsumoto’s extensive commercial experience in Indonesian finance during these critical years, allows him to skilfully argue that the roots of the crisis lay in the period of capital liberalization undertaken during the boom years from 1994 to 1997 which encouraged the development of fragile and unstable financial structures, involving increased corporate leverage, reliance on external debt, and the introduction of riskier and more complicated financial instruments and transactions. In-depth fieldwork data and four detailed case studies illuminate the microeconomic foundations of the crisis, showing how Indonesian capitalists sought to liquidate their Indonesian assets without losing control of their corporate empires, by taking advantage of increased access to foreign loans and complex financial re-engineering, actions which ultimately precipitated instability and crisis throughout the entire financial system. Finally, it reflects upon the policy implications of this episode, putting forward the case for comprehensive capital controls for open and developing economies until they establish appropriate financial institutions to monitor and manage the level of indebtedness and the volatility of capitalists’ behaviour. Yasuyuki Matsumoto is Senor Manager of Asian Investments, The Norinchukin Bank. He was Vice President and Head of Corporate Finance team at PT Bank LTCB Central Asia in Indonesia from 1993 to 1997. He received his Ph.D. in economics from SOAS, University of London, MA from Cornell University and BA from Keio University and also holds a certificate of the USCPA.